An elegant employee incentive or personalized gift, this set includes a business card case, a keychain, and a pen that can each be personalized with a logo, monogram, or message of your choice. The black gift box is foam lined to keep the items in place as well as to provide a nice display. 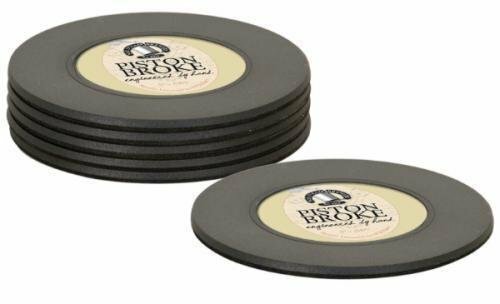 These budget friendly 3-1/2" round coasters are made of a durable black plastic, and have a foam back to both absorb moisture and protect your surface. Personalized with the graphics of your choice, they make a great promotional item, or a personalized gift perfect for a house warming or other special occasion. The set includes 6 personalized coasters.